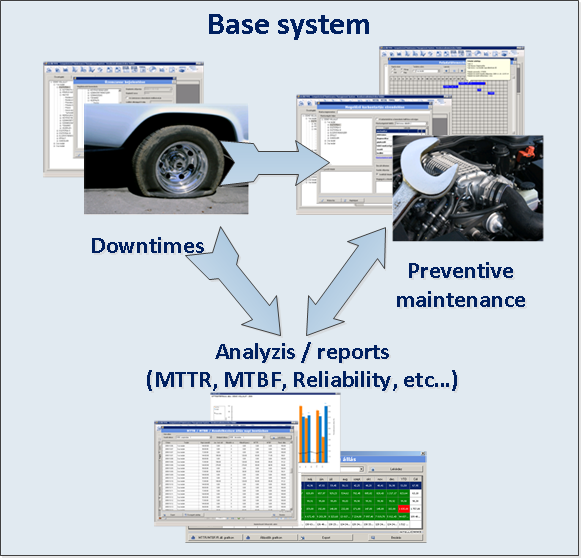 The built-in graphic planning interface helps to well organize and easy overview the preventive maintenance works. The miniCMMS contains the same core functions, like the intelliCMMS. It compose excellent basement for a future higher level maintenance system. If you need immediate usable, compact and reliable maintenance software the miniCMMS is the ideal choice.